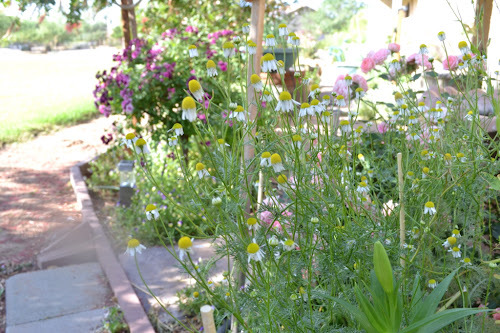 Over at Julie's: Cuppa Chamomile? It's taken me practically a lifetime to discover just how easy it is to grow my very own German Chamomile! 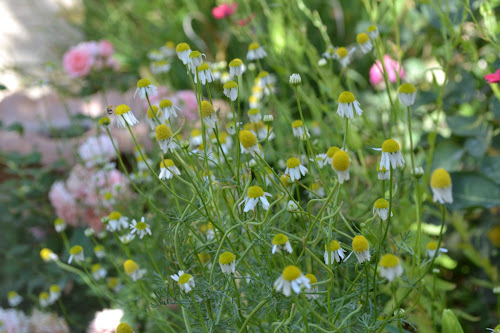 Chamomile is one of the oldest herb. Over 1,000,000 cups of chamomile tea are drank annually. It is used in cosmetics, shampoos, lotions, soaps because of it's soothing properties. 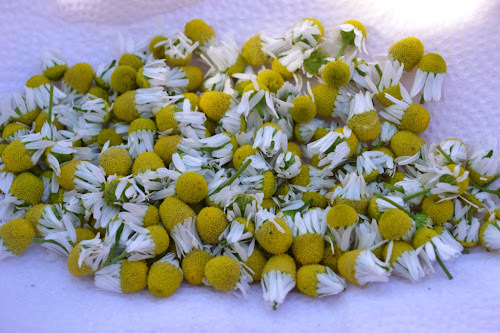 It is also used to treat depression, anxiety, and insomnia and is used in herbal remedies for a multitude of maladies from the common cold, to colic, and as an anti inflamatory for arthritis. The cool thing about using herbs is they are milder than pharmaceuticals, and used over a period of time they can bring relief without dangerous side effects. I decided to grow chamomile to use in my soaps and lotions, but discovered while harvesting it, an affinity for its wonderfully, fresh, citrusy fragrance! 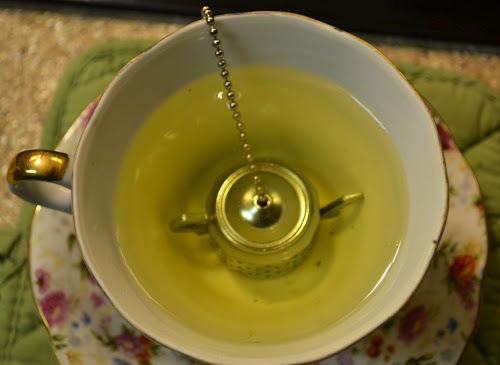 I do have a bit of insomnia and chamomile tea, used over time, will help relieve insomnia. So, I have been brewing a cup of chamomile tea in the evening, and I'm enjoying its delightful, fresh flavor! It brings back warm memories of all the cups of tea I shared with my Gram in dainty china tea cups! 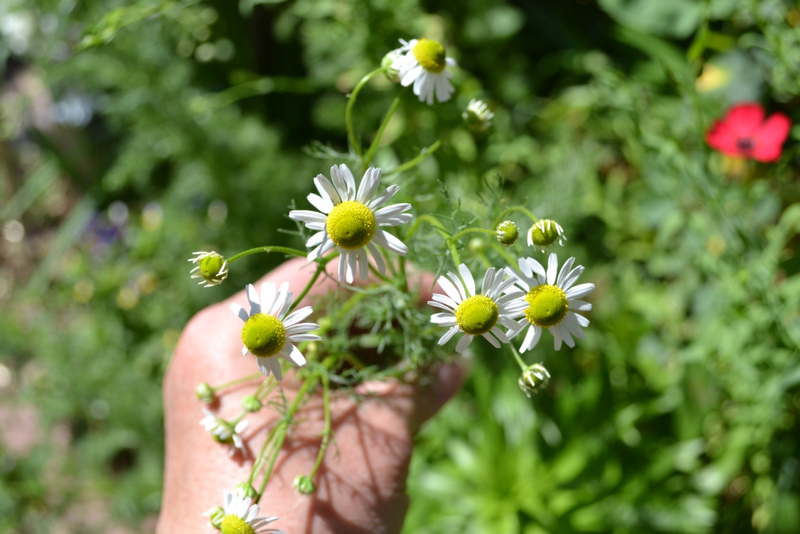 I like the pre-bedtime ritual of heating water in the kettle, filling my brewing basket with hand picked, organic, straight-from-my-garden, German Chamomile! Blossoms are ready to harvest . . . Centers turn cone-shaped and petals bend downward. Harvest in the morning, after the sun has dried up the dew. Give the plant a gentle shake to dislodge bugs. Freshly picked . . . The fragrance is delightful! 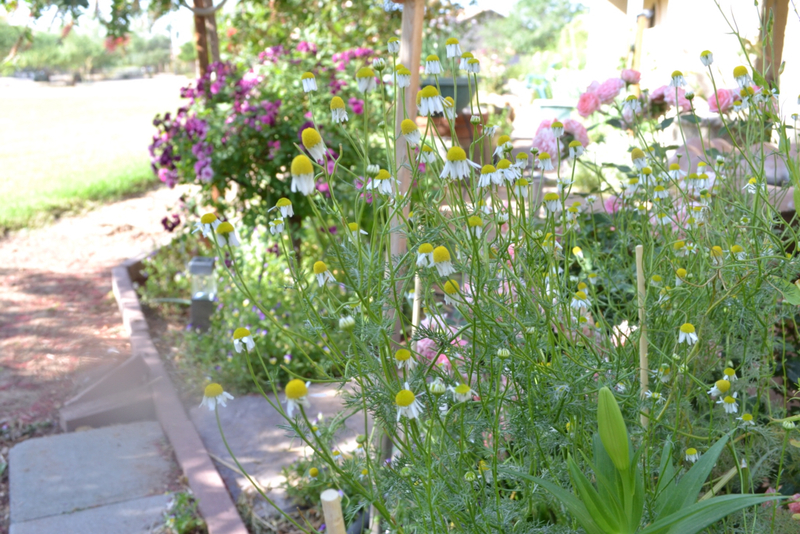 Chamomile is a perfect fit in a flower garden. 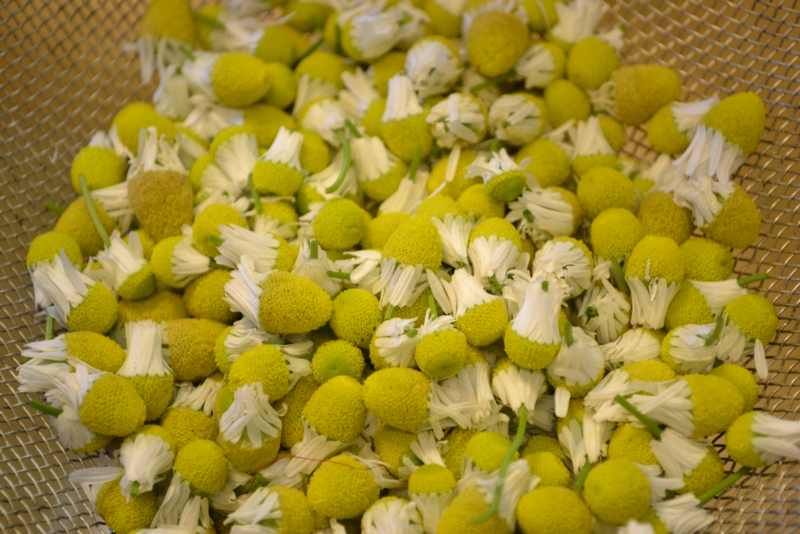 Blossoms are poured into a sieve and bounced around to remove dirt and tiny insects. 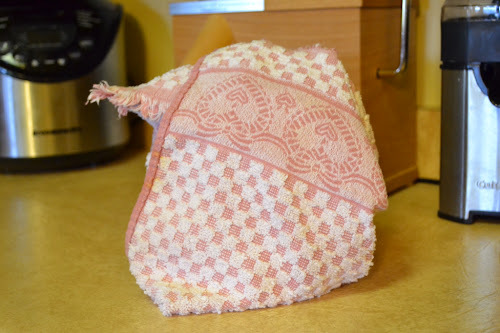 I dry them in a paper towel lined basket, and their ready in a week! If I'm brewing a cup just for me, I have a tiny stainless steel teapot I lower into my teacup that's filled with fragrant, dried, chamomile blossoms. When Will joins me for a cuppa, I pull out either one of my Gram's old teapots or one of my 20-something teapots and brew up a whole teapot full! 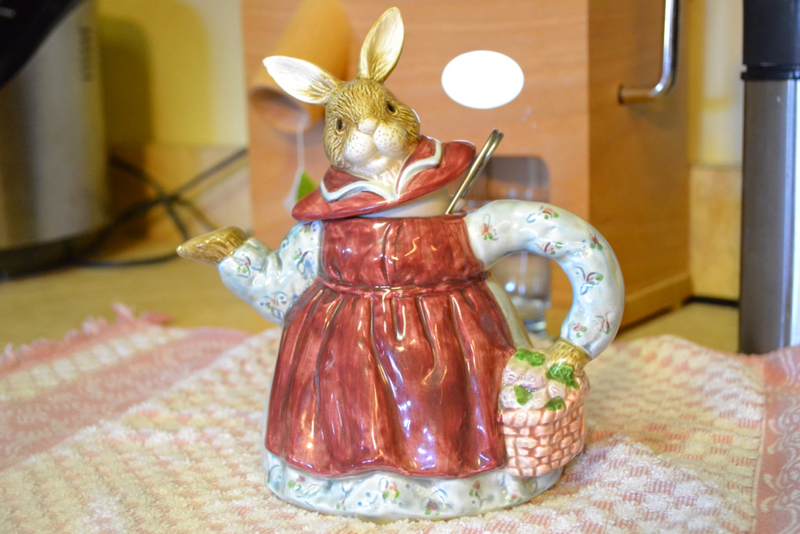 My English Bunnypot . . . Mrs. Patience Merriweather . . . Adds a bit of whimsy! I believe I'm in need of a tea cozy! 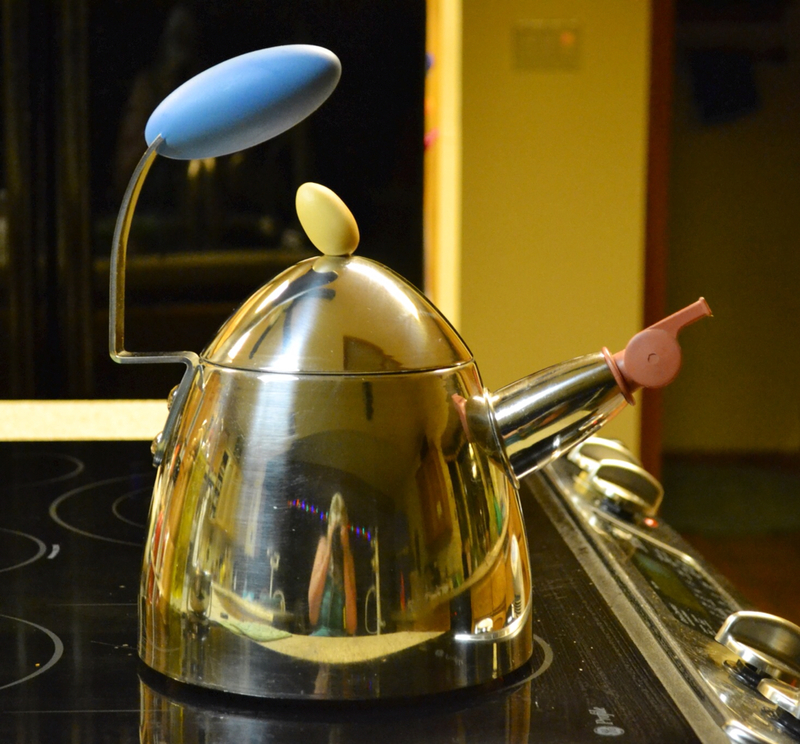 I love this tea kettle, the whistle blows like a train engine! See my reflection in the shiny kettle? My little teapot steeper . . . Tea always tastes better in One of Gram's china tea cups and saucers! Drinking tea connects me to a special time in my life . 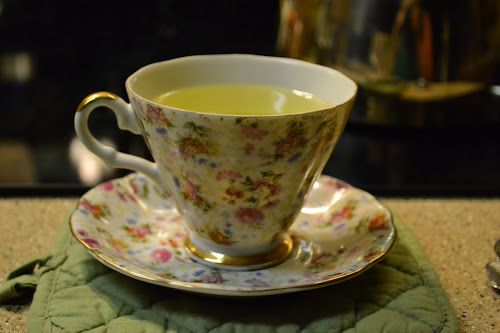 . . comforting, timeless, precious memories sweep over me as I sip tea from one of Gram's floral china cups . . . Over at Julie's!! !